AT&T is one of the 'big two carriers' for US cellular coverage in the lower 48 states. Mobile Share Plus - A tiered data plan with fixed buckets of data to share between devices. Connected Car - For OnStar equipped vehicles & after market OBD-II devices. Data Connect - For data only devices. Wireless Internet - For AT&T branded wireless internet devices. AT&T has experimented with unlimited data plans for a long time. They have or have had unlimited options for smartphones, tablets, and connected cars. There are also some occasional rental options that come up. The first line of any plan must be a smartphone device. You can add two tablets ($20/mo) or wearables ($10/mo) to a single line account. Select Connected Cars can be added to unlimited plans - on top of a plan with one smartphone line - without being subject to the high-speed mobile hotspot data cap. This does require a built-in Onstar system to qualify (no aftermarket devices like the Mobley). AT&T does not allow other data only devices to be added to Unlimited &More plans. This includes hotspots, USB modems, and Wireless Internet devices. Only tiered data plans are available for these device types, including Wireless Internet plans that include up to 100GB of data for $100/month. Unlimited &More Premium: Includes 15GB of high-speed mobile hotspot use on each smartphone or tablet line, which drops to 128kpbs (2G speeds) after 15GB/month. 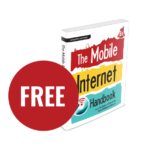 Unlimited &More: Includes no mobile hotspot use on smartphones & tablets. Throttling: Full speed on device, mobile hotspot throttles noted above. Network Management: After 22GB of usage in a month per line. International Roaming: Full plan data usage in Mexico/Canada, however roaming off AT&T's network partners may be limited to 2G speed. This feature is primarily aimed at smartphones and tablets and does not apply to certain devices including wearables & connected cars. Check with AT&T to ensure your device is eligible for unlimited North America data roaming. Domestic Roaming: AT&T's network has a decent sized off-carrier roaming area, with domestic data roaming limited to 400MB per month. If you exceed that, your data access may be shut down until you are back on AT&T native towers. AT&T also specifics that domestic roaming may be throttled to 2G speeds at all times. Unlimited &More Premium: HD Video streaming is restricted to 1080p on device, and 'Stream Saver' needs to be manually turned off to get HD. Unlimited &More: Video is restricted to SD quality and Stream Saver cannot be turned off. Unlimited &More: includes a free subscription to Watch TV, AT&T's live streaming TV service with 30+ channels. Unlimited &More Premium: includes Watch TV as well as a choice of one premium channel (HBO, Showtime, Starz, Cinemax, Pandora, Amazon Music, or VRV). Other Entertainment Features: Data-free cellular streaming on DirecTV and Watch TV app. Discount on DirecTV service. Single Line: AT&T will activate a single line at the base price - this device must be a smartphone. You can add two tablets ($20/mo) or wearables ($10/mo) to a single line account. AT&T Retired these plans on June 28, 2018 - these details are left here for those grandfathered in on the plan. On March 1, 2018 AT&T rolled out Unlimited Enhanced Choice and Unlimited Enhanced Plus. The plans were only available for smartphones and tablets. AT&T Stream Saver & HD Video: Come with the Stream Saver featured enabled by default, which throttles video streams to 480p "DVD Quality" resolution so that streaming video uses less data. This feature can be manually turned off to enable 1080p resolution on Unlimited Enhanced Plus. Mobile Hotspot: Unlimited Enhanced Plus plans include 15GB of high speed mobile hotspot use on smartphone and tablet plans. Unlimited Enhanced Choice plans do not include mobile hotspot as a feature on smartphones and tablets. The Enhanced Plans do not allow the addition of data only devices, such as mobile hotspot devices. Unlimited DirecTV Streaming: AT&T owns DirecTV, and to encourage customers to sign up for both services streaming from the DirecTV app on a smartphone or tablet does not count against AT&T monthly data caps or towards network management thresholds on unlimited plans. Of course, AT&T Unlimited customers can stream any video service desired, but usage does count towards network management thresholds. International Roaming: AT&T's international features are a bit confusing. Unlimited Plus/Choice Enhanced: The AT&T Unlimited Enhanced plans have a "Roam North America" feature that allows for free voice, text, and data roaming in Canada & Mexico. 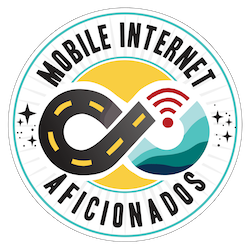 Full and unrestricted plan data usage is allowed in Mexico/Canada, however roaming off AT&T's network partners may be limited to 2G speed. With activation of the International Day Pass feature (no charge to activate), AT&T customers can use their existing plans and all of their plan's features (including high-speed unlimited data) for $10 per device per 24-hour period. Note that the fine print indicates that this feature will be removed from the account if the majority of a customer's usage is international for two months in a row. Network Management: Unlimited Enhanced plans are subject to "network management" once an unlimited customer has used more than 22GB on a line in a month. AT&T Retired the Unlimited Plus & Unlimited Choice plans on Feb 28, 2018 - these details are left here for those grandfathered in on the plan. The Unlimited Choice started at $60/month for a single line but is capped at 3 Mbps speeds and only includes SD video. Update: as of May 2, 2019 Unlimited Choice plans, while grandfathered and no longer available for new customers, were released from their 3mbps throttle cap, and instead will be subject only to network management at all times. Unlimited Plus started at $90/month for a single line. There is no speed cap, and smartphone & tablet lines include 10GB of high-speed mobile hotspot data. But most interesting on these plans was that AT&T allowed the activation of mobile hotspot devices, wireless internet devices and connected car devices as additional lines - with out ANY high speed hotspot caps. They had a grace period through May 7, 2018 to activate new lines of data only service on these retired plans, and those lines are now grandfathered in. If you have one of these lines, they are priceless - and worth holding onto. 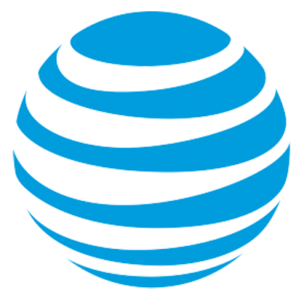 AT&T Stream Saver & HD Video: The Stream Saver feature is enabled by default, which throttles video streams to 480p "DVD Quality" resolution so that streaming video uses less data. This feature can be manually turned off to enable full-resolution HD streaming. 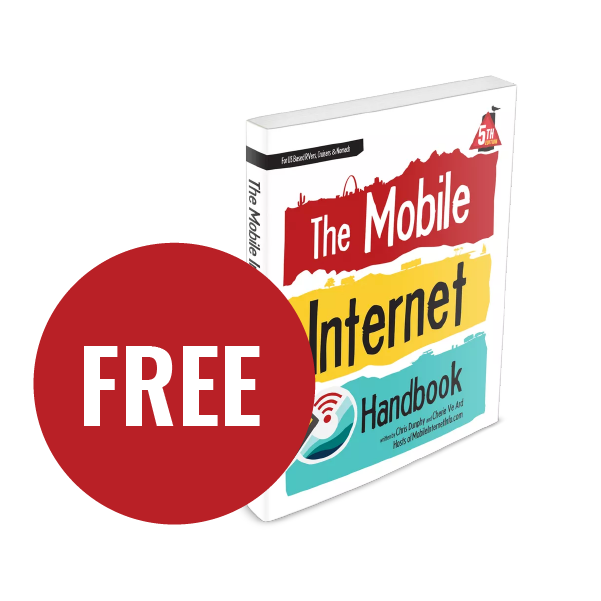 Mobile Hotspot: Unlimited Choice plans do not include mobile hotspot as a feature on smartphones and tablets. Internet only devices on the choice plan do not have a data cap, but are still limited to 3Mbps speed. Update: as of May 2, 2019 Unlimited Choice plans, while grandfathered and no longer available for new customers, were released from their 3mbps throttle cap, and instead will be subject only to network management at all times. Domestic Roaming: AT&T's network has a decent sized off-carrier roaming area, with domestic data roaming limited to 400MB per month. If you exceed that, your data access may be shut down until you are back on AT&T native towers. Canada & Mexico: "Roam North America" feature that allows for free voice, text, and data roaming in Canada & Mexico. However, if a customer uses more than 50% of their data in Canada or Mexico for two consecutive months, the feature may be removed. These older plans included no mobile hotspot use, and became subject to network management like modern plans are. Should you keep it? For most still on these older grandfathered plans, we recommend considering switching to AT&T's newer Unlimited data plans to get a mobile hotspot benefit and Canada/Mexico access. The data-limited AT&T Mobile Share plans are currently on their third iteration in two years, now called Mobile Share Plus. The currently available Plus plans offer only two data levels - 3GB and 9GB. The price per-GB is cheaper than what Flex offered. On AT&T's postpaid tiered plans, in addition to data costs, you must also pay a "line access charge" fee for every device sharing in the data - $20/mo for smartphones and hotspots and $10/mo for most other devices. With the line access charges, plus taxes and fees, these plans can be very expensive for the amount of data they provide. Mobile Hotspot Use: All data is available for hotspot/tethering. International Roaming: International data roaming is only available in Mexico. 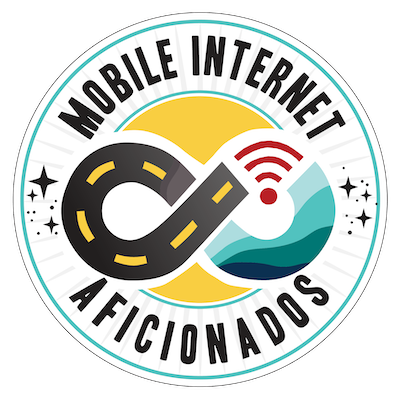 Connected devices on this plan, including connected vehicles, wearables, and the Wireless Home Internet (Home Base) devices are exempt - these devices will be charged pay-per-use roaming rates in Mexico. Data Roll Over: Plans include rollover data, but any rolled over data is only usable in the very next billing cycle. Regular monthly plan data is consumed first, then rolled over data. Video is throttled to 1.5Mbps (480p - SD) and that speed cannot be increased. Unlike the previous Flex plans and most of AT&T's other plans, Mobile Share Plus does not come with StreamSaver. This plan does support AT&T sponsored data which means that streaming AT&T services like Watch TV or DirecTV Now will not count against your data cap. However, if your cap is used up and you hit the 2G throttle, sponsored data is also slowed to 2G. Over the years, AT&T has had many different shared data plans. Here are links to our past articles on them for further details. All plans are now grandfathered in if you had them. In January 2019, AT&T added data to and increased the throttle Mobile Share Advantage plans for targeted customers. In October 2018, AT&T converted Mobile Share Plans to Mobile Share Plus. In July 2018, all retired Mobile Share Advantage plans underwent a mandatory price and data increase. In January 2018, AT&T converted Mobile Share Plans to Mobile Share Flex. In August 2016 Mobile Share Advantage Plans - which ended overage charging. AT&T offers four different postpaid plans for data only devices: Data Connect, Mobile Share Data, Connected Car and Wireless Internet. This plan does not use shared data - a data allotment must be purchased for each device. Rollover Data: None. Data allowances, including overages, must be used in billing period or will be forfeited. Data Overages: Additional data will automatically be provided in increments of 250MB at $14.99 on a 250MB plan or 1GB at $10/GB on the 3GB and larger plans. International Roaming: Not included - If roaming outside the U.S., international data rates will be charged. Some devices are eligible for AT&T Passport International data packages. Tethering: Allowed on hotspots. Otherwise only allowed on Tablets that have the 5GB option. With AT&T Mobile Share Data plans, you pay a monthly plan charge plus a monthly device access charge for each data only device on your account that will be using the plan. Data Overages: If you exceed the amount of data in your plan during your billing period, additional data will automatically be provided in increments of 1GB at $15 per GB. International Roaming: United States, Puerto Rico and the U.S. Virgin Islands use only - except for on plans with 15GB+, which have full data access in Mexico. For plans with 15GB+, you can use your Mobile Share data in Mexico like you do in the U.S. for no roaming charge. Tethering: Allowed for up to 5 devices at a time per account. AT&T offers Connected Car & RV plans for vehicles with built-in hotspots, such as GM's OnStar, Airstreams and Ford's SYNC systems. The also offer an aftermarket OBD-II device that is eligible for in vehicle usage only. They also allow connected cars to pair with tiered data plans if desired. AT&T has an entire connected car department for supporting these systems with their own set of data plans available for qualified vehicles. Connected Car/RV Unlimited: Provides unlimited data for $20-30/month plus taxes and fees. Network management threshold is AT&T's standard 22GB. Tiered Data: Customers can also add a vehicle to an existing Mobile Share Advantage tiered data plan for an additional $10/month access fee. Generally, the unlimited option is the better choice except for users with minimal monthly data usage. Eligible Devices: Vehicles with a built-in cellular hotspot, or AT&T's aftermarket OBD-II device. A full list is available on the AT&T Connected Car website. Price: $20-30/month per vehicle, maximum of 3 vehicles per account (3 vehicles on plan results in $60 monthly plan charge). International Roaming: Limited to network affiliates in Canada. No other international roaming allowed. Available for much of 2017, this plan officially retired in September 2017. A too-good-to-be-true unlimited plan for $20/month only subject to network management after 22GB of usage in a month. Using the aftermarket ZTE Mobley Connected Car Device with a power adapter allowed use of the plan without a vehicle's ignition being on. This was a stand-alone plan not requiring any other AT&T account but was only available through AT&T's Connected Car department. AT&T pushed a mandatory firmware update in October 2018, officially removing a 'no timeout' option that had been made available during an earlier update. Also in October, AT&T began cracking down on use of the plan in non-Mobley devices by locking pins - although a PUK work-around was found pretty quickly. Should you keep it? Those who have the plan are currently grandfathered-in, and this plan is definitely worth keeping for as long as you can! Use in other devices? While the Mobley SIM at present time will work in other hotspot devices, these plans were clearly activated as for Connected Car devices only. There is risk in the future AT&T could enforce these terms of service. AT&T Wireless internet provides a "home" telephone line and data. It is intended to service rural areas without landline internet service. Mobile Share Data plans are not available online - they can only be purchased at an AT&T store or by calling AT&T directly. These plans appear to be unavailable to new AT&T customers but may be available to existing customers. The Mobile Share Data plan can be shared by up to ten data-only devices. Smartphones are not eligible for this plan. Eligible Devices: Tablets, Laptops/Netbooks, Mobile Hotspot devices, Gaming devices. Data Allotment Options: Many options ranging from 4GB for $30/mo to 50GB for $335/mo. Data is shared by up to 10 devices on the plan. Device Access Charges: Each device on the plan must also pay a monthly access charge. Data Overages: Additional data will automatically be provided in increments of 1GB for $15/GB. International Roaming: 15GB and larger plans include Mexico roaming. All other roaming will incur roaming fees. Tethering: Allowed. Limited to five devices simultaneously. In early 2017, some AT&T introduced a 'Rural Plan' that could be paired with the AT&T Homebase device. Availability of this plan was based on zip code. In mid-February of 2017, AT&T began offering even more data on its Homebase device - which it soon renamed the Wireless Home & Internet device. These extra large data buckets were offered in select "rural" markets for a limited time. The 250GB/500GB 'Rural' plans were only available for customers with billing addresses in certain areas (some zip codes in Missouri, Kansas, Michigan, Indiana, Ohio, Western PA, and Upstate New York). Knowledge of what zip codes qualified was sparse - many people reported getting flyers in the mail with details of the plan. Some RVers with addresses outside of the targeted markets had been able to activate the plan by finding the right representative, but results were mixed. These 250GB/500GB plans are no longer available to anyone - and we warn folks who locked these plans in not to make any changes on them - or risk having the plan removed. These plans will work anywhere that AT&T has coverage (not just in the target markets), but in addition to the data price, you are forced to pay an extra $20 in service charges for a home phone number with unlimited talk. There is not an option to drop the voice line. Unlike cellular smartphone plans, texting is not included. Additional Access Charges: $20/month for voice - whether you use it or not. Rollover Data: None. Data must be used in billing period or will be forfeited. Data Overages: Additional data over your cap will automatically be provided in increments 10GB/$10. Domestic Roaming: Limit of 400MB of data per month. If you exceed that, AT&T may shut down your data access until you are back on a native tower. Network Management: Subject to network management as soon as you leave target markets. Streaming: All video streaming (i.e. DirectTV Now, DirectTV) counts towards data limits.